The morning after I used this I noticed a huuuge difference with my skin - it was much smoother and most of the bumps were gone. Also my face was glowing which is a bonus. It is not harsh on my face, which is a nice surprise. Great exfoliating scrub, works very well. Perfect for combination skin type. Cleans up the pores without stripping off the moisture. Love this product! 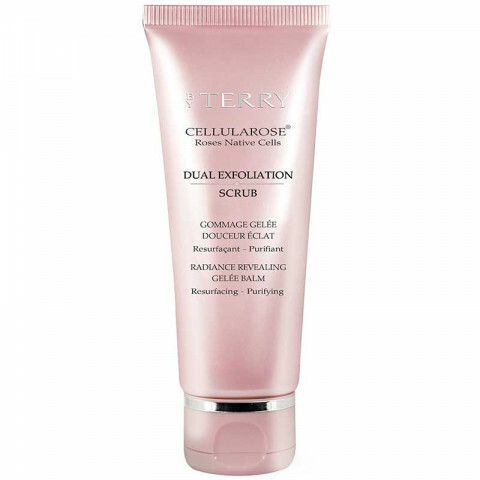 great scrub to use on combination skin. i like to use this in the summertime especially when i want to have a flawless and smooth base to apply self tanner on my face. works really well at boosting the skin's glow! Great for combo skin! Gives a radiant glow. I have a combination of dry and oily skin and this products does not dry out my skin nor make it oily. The BEST!